Christmas Season – Museet "Ett hem"
The museum Ett hem is open in December celebrating Christmas as it was celebrated at the beginning of the 20th century and in the Jacobsson family. Information about how the family celebrated Christmas and New Year’s Eve has been received from the family’s grandchildren and relatives. The museum displays traditional saffron buns (lussekatter in Swedish) and marzipan treats. The drawing room is adorned with a real Christmas tree that is decorated in a traditional way each year. 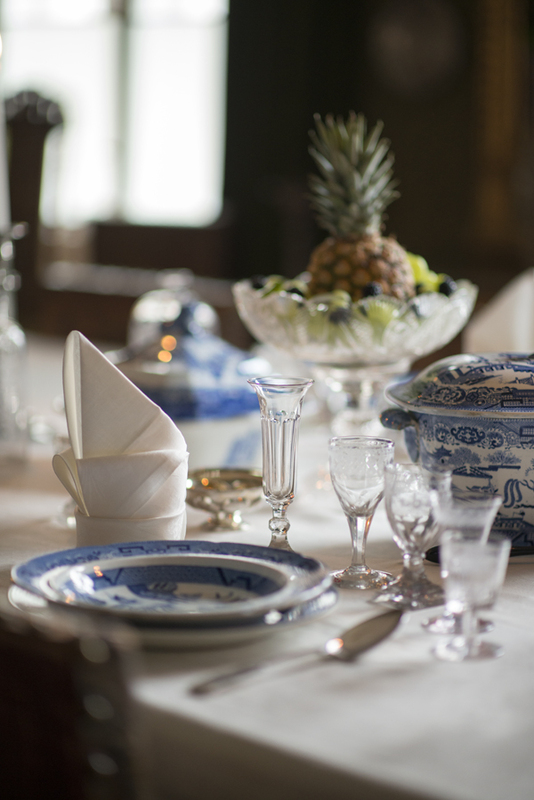 The dining room table is set with blue and white porcelain while glass and pewter dishes are filled with Christmas time treats, fruit and nuts. Menus from New Year’s Eve celebrations and place cards describe who have attended the celebrations and what they have consumed. The museum Ett Hem is open from 1st of December 2018 until 30th of December 2018. Opening hours: Tue-Sun 11 am-4 pm, closed on Mondays.